According to Johns Hopkins University, 3 million children between the ages of 10 and 12 will be diagnosed with Scoliosis this year. Children at middle schools across the country will be screened for scoliosis – If your child returns from school with a positive diagnosis or even mentions back pain, don’t panic! Scoliosis is an abnormal curvature of the spine and not uncommon in children. Viewed from an X-ray, Scoliosis curves might look like an “S”, or a “C” shape depending on the particular case. 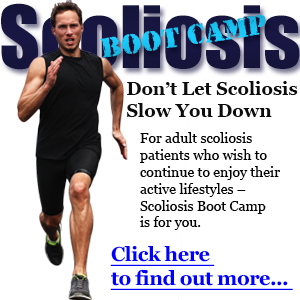 Scoliosis can result in a reduced range of motion, cardiovascular problems, and pain from inflammation or spasms. Research has proven, it is easier to lower the degree of the curve while the curve is small and the child is young. Before your child hits puberty and his or her growth plates are locked in place is the ideal time for treatment. With the school year in full swing, as well as sports, activities, and summer vacation coming along, the goal is to keep our children healthy. As parents and partners, at South Florida Scoliosis Center we make sure the solutions for Scoliosis are easy and available to all! Teen Curves Camp: a 5-10 day summer camp where kids encourage one another as they straighten their spines using state-of-the-art equipment. Goals of this individually customized physical therapy are to provide pre-emptive treatment for curves below 25 degrees, reduce curves below 25 degrees, and provide a long-term plan for your child’s scoliosis treatment. We also have treatment and intensive care treatment for children and teens during convenient after school hours. Intensive Care Scoliosis Treatment for children and teens: developed to reduce and/or correct Scoliosis in all ages without the use of bracing or surgery. Patients perform a two-week treatment plan tracked by x-rays taken before and after the treatment. Following the two weeks patients return home with an in-home rehabilitation program. Scoliosis treatment for children and teens: a comprehensive program, including x-rays, a variety of customized physical therapies, follow-ups, and at-home participation. After initial x-rays, we begin physical therapy, make chiropractic adjustments, and then “set” the spine in its corrected position. We follow-up with our patients, performing post-treatment x-rays and tracking at-home therapies. At South Florida Scoliosis Center we continuously develop our treatment programs to encompass minor curves below 25 degrees to severe curves above 40 degrees. We will assess your teen’s probabilities for scoliosis progression, provide a long-term plan for treatment, and reduce and/or eliminate curves all together. 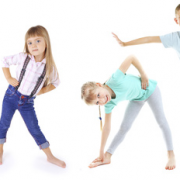 From moderate instances that are easier to manage to severe cases where pain is present, we have reliable treatments prepared to help your child overcome Scoliosis. In the event that your child is one of the 3 million children diagnosed with Scoliosis this year, we are here to help you keep them healthy. Pack up the beach toys and bring out the books. It’s time to go back to school and your child is going to a new grade! A new school year means new backpacks, new teachers, and a whole lot of homework. Although we are well aware of how homework affects the stress levels of our children’s brains, we also need to be aware of how homework is affecting the stress on our children’s backs. According to the American Physical Therapy Association your child’s backpack should never exceed 10-15% of their body weight. However, with long lists of school supplies, and practically non-existent locker availability, your children are often forced to bear more than the suggested amount. This could be extremely damaging, especially in the case of children with scoliosis. It may seem like a difficult issue to remedy, but if you follow these simple steps you are well on your way to providing a safer and more stress-free school experience for your child. Lighten the load – This seems like the most obvious thing, but you’d be surprised how much your child is carrying in their backpack that they don’t need. Make it easier for your child by helping them get organized and knowing what they need to bring to school ahead of time, so that they are not lugging everything back and forth every day. Set an example – You are your child’s greatest role model. You can encourage them to practice healthy posture habits by doing so yourself, and talking to them about it. Good habits start at home! Buying the Right Backpack – finding a supportive and comfortable backpack is crucial to ensuring your child’s safety. Here are some things to look for when choosing a new backpack. Lightweight – Not all packs are created equal. Compare the weights of various backpacks and try to go for the lightest one to make sure the backpack itself is not adding too much to the load. Padding – One of the problems with backpacks is that if they are not properly padded, they can restrict circulation in the shoulder area. Make sure the backpack has two wide padded shoulder straps. Multiple Compartments – This is often overlooked as an essential part of a safe backpack. Multiple compartments allow for proper organization of materials, and will more evenly distribute the weight in the pack. School has just begun – take advantage of this opportunity and make sure you get the right backpack for your child! Always encourage your child to tell you about any discomfort concerning his backpack and pay attention to any symptoms he or she may be experiencing. 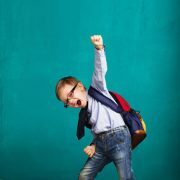 For more information about taking on the school year with scoliosis, contact us at South Florida Scoliosis Center 305-705-0777, or visit www.southfloridascoliosiscenter.com. When she was 15 years old, Shailene Woodley, was diagnosed with scoliosis. The Divergent Series and The Fault in Our Stars actress had a 38-degree curve when she was diagnosed with the most common case of scoliosis, idiopathic. This type of scoliosis has no known cause. As treatment for her scoliosis, Woodley was given a back brace stretching from her chest to her hips. Woodley wore the brace 18 hours a day for two years. The actress once said in an interview that the brace was “…like wearing a tacky, disgusting, plastic corset for 18 hours a day.” She also explained that when she first started wearing the brace it was difficult to breathe and eat. Woodley also stated, “…the only thing they sort of know works is the brace.” Woodley is now 24 years old. With the passing of almost 10 years, there has been incredible advancements in the types of treatments available to people suffering with scoliosis. Wearing a brace for countless hours over several years or numerous surgeries are no longer the only viable options for scoliosis patients. People suffering from scoliosis do not have to subject themselves to such inconveniencing and uncomfortable treatments. Instead of the more aggressive and invasive treatment options like bracing and surgery, there are other treatments available. South Florida Scoliosis Center implements the CLEAR methodology, which includes three main steps: 1. Mix, 2. Fix, and 3. Set. In the first step, Mix, the patient warms up their spine using different techniques, such as Cervical Traction, Vibrating Traction, and the Active Rehabilitation Chair. The second step, Fix, consists of the chiropractic adjustments specified for each patient based on their initial x-rays. In step three, Set, the spine is set in its corrected position. This process involves spinal weighting, vibration therapy, the Scoliosis Traction Chair, and gait therapy. Follow-up and dedicated home care are both essential to the process. Unlike surgeries and bracing, the CLEAR Methodology System is an active process. The patient’s participation and dedication to the process are both crucial to the effectiveness of the treatment. If left untreated, scoliosis can lead to several health issues. It can cause deformity of the spine, pain as well as cardiac, respiratory and digestive problems. Many doctors still suggest the bracing and surgical alternatives as in the case with Shailene Woodley. South Florida Scoliosis Center focuses on a non-bracing, non-surgical plan through the CLEAR Institute methodologies. Through this system, our physicians assist patients in reducing the curvature of the spine and correcting mechanical problems of scoliosis. If you or a family member has recently been diagnosed with scoliosis, know that wearing a brace or having a rod fused to the spine through surgery are not the only treatment options available. For more information, contact us at South Florida Scoliosis Center 305-705-0777, or visit www.southfloridascoliosiscenter.com. Has scoliosis caused a decline in confidence for a family member or a friend? Has his or her self-esteem gone down? Have they stopped pursuing their goals? Are they spending less time going out and doing activities they love because they are worried their curve will show? Coping with a scoliosis diagnosis can be a burden, and it can have just as many emotional effects on a person as physical effects. Scoliosis is diagnosed when an individual’s spine has a side to side curvature. On an x-ray, the spine takes on an “S” or “C” shape. Scoliosis can affect the shape of an individual’s back, shoulders, rib cage and hips. 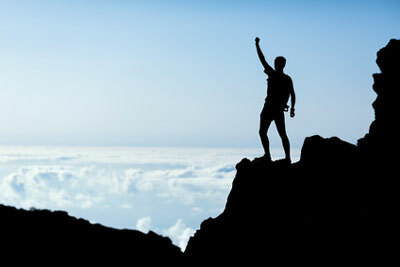 These changes may lead to self-esteem issues and further challenges for the individual. Many times people with scoliosis are unwilling to pursue activities that may expose the curvature of their spine. Physical activities are further limited if a brace is used as treatment. A scoliosis diagnosis can place a large amount of stress and anxiety on an individual and may cause them to withdraw from social interactions and stop pursuing their goals and interests. In order to show support for a person with scoliosis, communicate to them that you understand their feelings. Talk to them about the condition and the available treatments. They may have fear that they will not be able to achieve their goals with scoliosis, but don’t allow them to push aside their aspirations. Encourage them to keep working toward their goals by providing them with examples of people that have gone on to accomplish remarkable feats. Coughlin wasn’t diagnosed with scoliosis until she was 30 years old when her curvature was 27° – the x-ray and the shape of her spine shocked her. Coughlin didn’t let her diagnosis stop her. At the 2008 Beijing Games, she became the first female U.S. Olympian to win six medals during one Olympic Games. Coughlin also tied with two other Olympians for the most all-time medals by a female swimmer. She continues to pursue her dreams by preparing for the 2016 Olympic Games in Rio. Bolt was born with scoliosis, and he did not let it stop him from becoming known as the world’s fastest man. He won three gold medals at the 2008 Beijing Games in the Men’s 100m, the Men’s 200m, and the Men’s 4x100m Relay. He defended each of these titles at the 2012 London Games. Bolt has also won several medals at World Championships between Olympic Games. Just like fellow swimmer Natalie Coughlin, Thompson did not allow scoliosis to affect the pursuit of her dreams. Thompson is a twelve time Olympic medalist, including eight gold medals from the 1992, 1996, 2000, and 2004 Summer Olympics. She is one of the most decorated Olympians in history because she chose to fight for her dreams despite challenges brought on by her scoliosis. Scoliosis may be an extra obstacle on the journey but it is not a dead-end. Each of these athletes is proof that anything is possible. Next time your family member or friend is feeling down about their scoliosis remind him or her of this: With the right treatment and the right attitude, anyone can triumph over scoliosis. If you, yourself, are dealing with the emotional effects of scoliosis think of these athletes as well, and know that if you put your mind to it you can accomplish anything. South Florida Scoliosis Center is the only CLEAR Scoliosis Treatment Center in the South Florida area in addition to being one in only 18 worldwide clinics to offer Intensive Care Scoliosis Treatment. South Florida Scoliosis Center draws patients from the entire state as well as from countries abroad. In mid-October, 2015, my 13-year-old daughter was complaining of pain on her upper right side. She is a pre-professional ballerina and chiropractic care is a regular part of her care, however, her pain did not subside upon treatment. Fortunately for us, her local chiropractor did a further examination in order to assess the source of the discomfort. When he had her take a forward bend, he found pronounced uneven muscle structure and impressed upon us that we must see the pediatric orthopedist immediately for a further scoliosis assessment. The very next morning I contacted the orthopedist as I had been instructed, but I also contacted an acquaintance whose daughter had recently been through very serious back surgery for scoliosis. We met for coffee a couple days later and she was kind enough to share her experience. In that moment, I learned that “scoliosis is serious business.” Just like my daughter, my friend’s daughter manifested scoliosis at 13. My friend sought the medical advice and services of the same orthopedist to whom I had been referred. According to the orthopedist’s instructions, they first waited and watched the scoliosis rapidly progress to which the doctor responded with a brace that proved ineffective. Consequently, at 15 years of age, my friend’s daughter had a difficult time walking and the doctor performed a severe surgery to fuse together her spinal column and fill her full of 3 inch screws and long metal rods. Based upon my friend’s testimony, I was appropriately terrified at the prospects for my own 13 year old daughter. While waiting for the ominous appointment with the orthopedist, I sought anyone with information regarding scoliosis treatment alternative to surgery, and of course I consulted “Dr. Google”. Playing with different key word searches, I stumbled upon the CLEAR Institute for Scoliosis Treatment which led me to services of Dr. Alexander Greaux and the South Florida Scoliosis Center – a practice dedicated to the treatment of scoliosis with groundbreaking, non-surgical therapies. While I did find other sources of chiropractic and physical therapy related scoliosis treatments all around the country, it was the manner of advertisement of the CLEAR therapies that really drew me in. As a corporate attorney with a good deal of experience in litigation, I have been trained to be on the lookout for statements of guarantees, exaggerated claims of success and other forms of “puffery” in marketing and advertising for products and services. What really impressed me about the CLEAR Institute and Dr. Greaux was the measured manner in which they described their success in treating scoliosis patients. I also appreciated the honesty with which they explained the challenges they face in conducting long-term studies that would more accurately report on, and better define the parameters for non-surgical scoliosis treatment modalities. This, I thought, is the more trustworthy presentation of information I had seen in my research, and for this reason I sought out the care of Dr. Greaux. It was now five days since the discovery of scoliosis by the chiropractor, and my anxiety level was only rising. When I contacted Dr. Greaux’s office, the staff was kind and understanding, and I was relieved that they were as anxious as I was to have my daughter assessed and treated as quickly as possible. Four days later, and still waiting to see the orthopedist, Dr. Greaux found that my daughter had a 22 degree lower lumbar curve with compensatory curving in the thoracic region and some rigidity in her neck. He also kindly explained that although the curve was on the cusp of moderate, my husband and I should take this situation very seriously because our daughter had every risk factor expecting this curve to grow rapidly into a surgical situation. Although my anxiety exploded into panic, Dr. Greaux remained calm and talked us through the treatment options and the benefits and burdens of each. We decided to bring her back for a one-week intensive of therapy to take place soon after, and headed to our appointment with the orthopedist in between. The orthopedist predictably found the same 22 degree “s” curve and recommended nighttime bracing together with the “watch and see” approach. Like Dr. Greaux, he warned that our beautiful ballerina could very quickly grow crippled. My research taught me that bracing does nothing to reduce curvature and that the curve could continue to grow nonetheless – a troublesome prospect with which the orthopedist agreed. At this news, my husband and I were even more determined to go through with the therapy, and our daughter enthusiastically agreed. The therapy program prescribed by Dr. Greaux required two sessions a day at 2.5 to 3 hours each. I’m not going to minimize it; the therapy was painful, exhausting and more than challenging for our little girl. There were even times when tears escaped because she was so determined to go through with it but her little body would protest being made straight. Nevertheless, every single member of the staff, and especially Dr. Greaux, was overwhelmingly attentive, tender, sympathetic and supportive of the process. At the end of the week intensive, my daughter’s reward was that her curve had reduced from 22 degrees to 15 degrees!!! She also achieved substantial progress in increasing the proper mobility and shape of her neck. We are overjoyed! While she is momentarily out of the danger zone, we most certainly recognize the importance of continuing the home therapy precisely per the instructions of Dr. Greaux, or else the curve could once again escalate into total devastation. We are so grateful to Dr. Greaux and all of his staff for their hard work and dedication to pioneer advances in non-surgical scoliosis treatment, especially in the face of hostility from many orthopedic surgeons. In fact, my husband, daughter and I cannot wait for our next appointment with the orthopedist so we can share our own success story with the hopes of persuading him to reconsider his position that “therapy is a scam.” Meanwhile, we intend to continue to tell everyone we possibly can about Dr. Greaux and the CLEAR Institute to spread hope and awareness for non-surgical scoliosis treatment options. * To protect the privacy of our patients the image used in this post is not an actual picture of our patient but a representation of the same. The Text Neck epidemic is spreading far and wide! 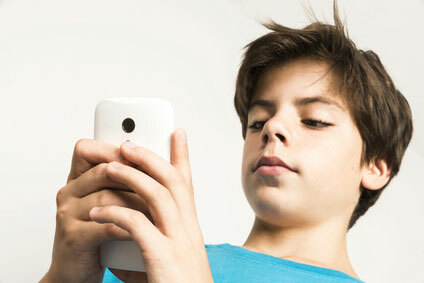 Children as young as seven years old are using mobile devices and developing the condition. Almost anywhere you go, you will most likely see someone texting on their phone or maybe playing a game on their tablet. With the rise of technology such as new smartphones, laptops, and tablets, Text Neck has become a more common occurrence. The condition is most often seen in teenagers, but even younger children are starting to show signs of it. Text Neck is often the result of looking down at a cell phone, tablet, or other electronic device for multiple hours each day. The bending forward of the neck for extended periods of time puts stress on the cervical curve which could lead to changes in the normal forward curve. Doctors have found that by looking down at devices, people are increasing the weight placed on their neck further aggravating the condition. Text Neck can cause several symptoms including neck pain, stiffness, headaches, numbness and/or tingling sensations, arm pain, and back pain. The abnormality in the cervical spine curvature can add stress to the spinal cord and the carotid arteries, which may lead to issues such as dizziness, fatigue, nervousness, and changes in blood pressure. The stress from Text Neck may also affect the release of endorphins and serotonin, which could result in anxiety. What can I do to avoid Text Neck? When texting, hold your phone at eye level. Raise your computer monitor to eye level. Avoid using your laptop, tablet, or phone while lying down. Avoid looking down at your devices for extended periods of time. Help yourself avoid Text Neck by following the above tips and encourage your kids to follow them as well when using their electronic devices! If you think your child is dealing with symptoms of Text Neck contact us at South Florida Scoliosis Center 305-705-0777, or visit www.southfloridascoliosiscenter.com. Why Let Scoliosis Limit Expectations for Yourself? 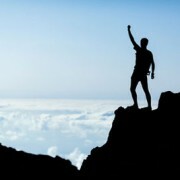 Does dealing with scoliosis add limitations on what you believe you can achieve? Well, don’t let scoliosis set the bar for your expectations of yourself! You are not alone on your journey with scoliosis. Approximately 6 million people in the US suffer from scoliosis. Included in that 6 million dealing with scoliosis are Olympic Swimmer Natalie Coughlin and Professional Pool Player Jeanette Lee. Olympic Swimmer Natalie Coughlin wasn’t diagnosed with scoliosis until she was 30 years old. When she first got an x-ray, her curve was 27°, and she was shocked at the sight of her spine. Coughlin proves you can accomplish incredible things despite scoliosis. She became the first female U.S. Olympian to have won six medals in all six events, including an event she didn’t even train for. She is also tied for the most all-time medals by a female swimmer along side two other Olympians. Coughlin plans to continue pursuing her goals by attending the 2016 Games in Rio. In preparation for the 2016 Games, Coughlin is training at UC Berkeley along side the men. The scoliosis diagnosis has not slowed Coughlin down in the slightest. She knows what she needs to do to achieve her goals and is not letting her scoliosis diagnosis stop her from accomplishing those goals. Professional Pool Player Jeanette Lee was diagnosed earlier than Coughlin at the age of 13. In hopes of alleviating the progression of the curve, Lee had scoliosis surgery. Although the surgery was thought to be a success, Lee still dealt with the effects of scoliosis. Around the time Lee was in college, she was introduced to the game of pool. She immediately began pursuing her new found passion, and was often playing 20+ hours at a time. Unfortunately, the metal rods placed in her back during her scoliosis surgery were causing Lee excessive pain. Even though it appeared her consistent practicing was aggravating her scoliosis, Lee continued to pursue her dreams. Her strength and drive led her to incredible achievements. She became a professional pool player at the age of 21. In her first year, Lee was ranked within the top ten in the Women’s Professional Billiards Association, and not long after she became the #1 ranked woman pool player in the world. Lee has had countless victories throughout her career, while also acquiring tournament titles and even a gold medal in the 2001 World Games. Through all this success, “The Black Widow,” as Lee came to be known, has still dealt with pain due to her scoliosis and has undergone several other surgeries. Lee has not let the obstacle of scoliosis stop her from reaching her full potential. Each of these women have not allowed scoliosis to hold them back from accomplishing their amazing feats. If you feel like scoliosis is preventing you from reaching your dreams, think of these two strong women and know that you can accomplish anything you want. New technology and better methods are available to stop the progression of the scoliotic curve and make life with scoliosis possible. Take a step towards your goals by understanding that scoliosis is just a part of your journey and not an end to it. For more information on available methods for the treatment of scoliosis, contact us at South Florida Scoliosis Center 305-705-0777, or visit www.southfloridascoliosiscenter.com. https://www.southfloridascoliosiscenter.com/wp-content/uploads/2015/10/sfsc-coughlin-lee.jpg 267 400 HM https://www.southfloridascoliosiscenter.com/new/wp-content/uploads/2015/03/sfsc-logo.png HM2015-10-01 16:36:302015-10-01 23:05:39Why Let Scoliosis Limit Expectations for Yourself?